The Sonoma County Winegrowers just returned from a weeklong trip to Texas for our annual Sonoma in the City wine trade and media program in partnership with Sonoma County Vintners and Sonoma County Tourism. This year we visited two of the state’s most important wine markets, Houston and Austin, to promote the region and educate influential wine trade and media about our vineyards, our wineries, and our wines. This was a huge success with more than 600 media, trade, and consumers attending a series of seminars, grand tastings, and dinners. Our trade outreach and seminars in these two cities resulted in more than 100 sales leads, an average of 3-4 leads per participating winery. We also received a lot of buzz on social media platforms such as Facebook, Twitter, and Instagram, that reached more than half a million impressions. In Houston, we hosted a series of seminars for sommeliers, wine buyers, and other trade representatives that focused on our sustainable farming practices and featuring Karissa Kruse and several grape growers, including Bret Munselle of Munselle Family Vineyards, Diana Karren of Terra de Promissio Vineyard, and Ryan Decker of Rodney Strong Vineyards. This was following by a Pinot Noir seminar hosted by Master Sommelier Evan Goldstein that compared a series of two different Pinot Noirs sourced from the same vineyard site to showcase the terroir and resulting winemaking styles. Each winemaker was on hand to discuss their personal approaches to that vineyard, explaining the sustainable farming techniques, what attributes lead to that style of wine, etc. At the end, Karissa presented the latest consumer research on sustainability to explain why it matters in the marketplace. This new format received a lot of positive feedback from our sommelier and wine trade attendees, and we’ve received requests to present the information to the staff and sales teams at several regional chain stores and restaurants. Our program in Houston also featured a consumer grand tasting that sold out with more than 350 wine lovers who attended to taste more than 300 wines from over 60 wineries. New this year, we also added a special 45-minute seminar before the grand tasting that focused on several of our AVA and regional partners, including Dry Creek Valley, Petaluma Gap, Russian River Valley, and Sonoma Valley. In Austin, we hosted a similar sustainability seminar and Pinot Noir tasting, followed by a luncheon that focused on Chardonnay, Cabernet Sauvignon, and Zinfandel from AVA’s across the county. On the media side, we hosted two dinners that attracted two dozen lifestyle, wine, food, and travel writers from publications such as Houston Chronicle, Austin American Statesman, Texas Lifestyle Magazine, H. Texas Magazine, Houston Lifestyle, Houston Woman Magazine, PaperCity, Vacations Magazine, and others. 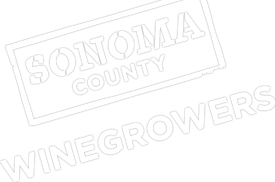 Sonoma In The City continues to be an effective way to promote our wine region and educate the influential wine trade about our sustainability efforts in major, important wine consumption markets, like Texas.